Traffic Parrot Service Virtualizaion Blog: How to mock and also passthrough HTTP(S) requests to multiple systems? How to mock and also passthrough HTTP(S) requests to multiple systems? 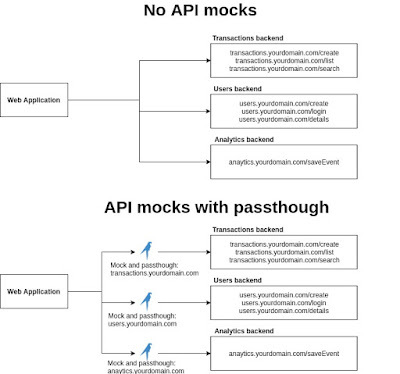 You can use API mocks to isolate yourself from backed and third party dependencies. 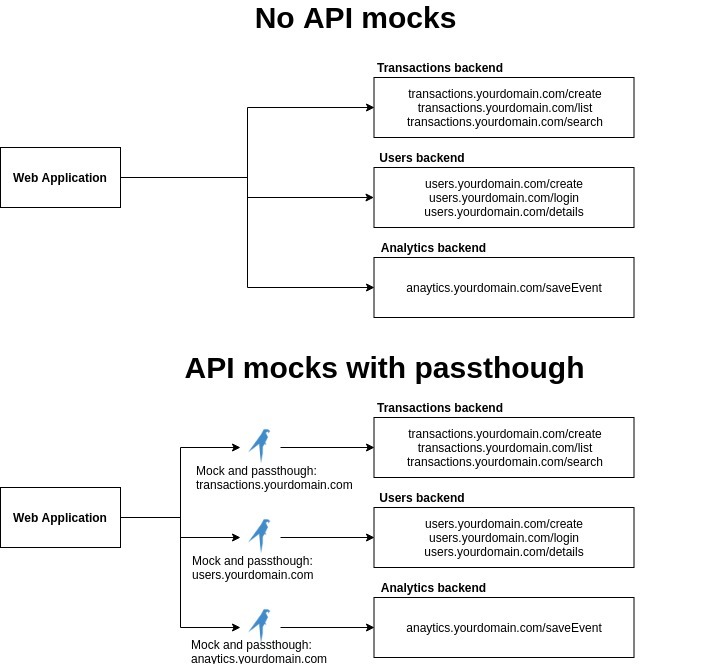 There are cases where it would be advisable to lookup responses in the API mock but when none are found, forward (passthrough) the request to the real backed or third party service. In Traffic Parrot you can passthrough to one domain at a time. So how to deal with a situation when there are more than one domain you would like to mock? The solution is to use multiple Traffic Parrot instances, each mocking and passing though to a different domain. 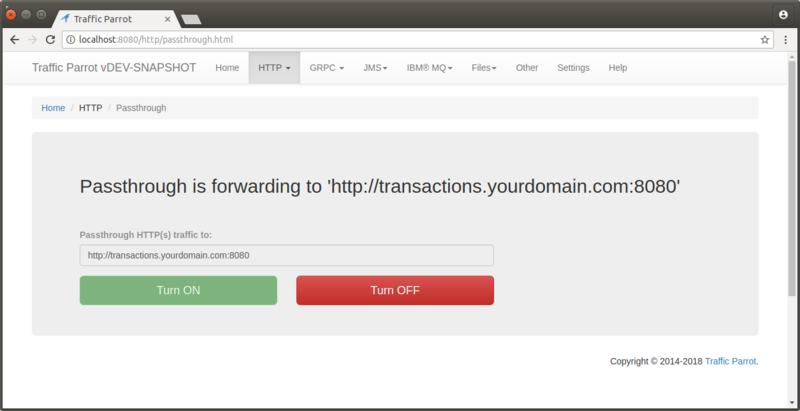 To configure passthough, open Traffic Parrot and click on HTTP->Passthough.